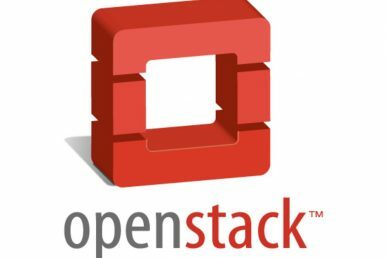 BOSTON — Jonathan Bryce, OpenStack Foundation executive director, welcomed thousands of Stackers from around the world on the first day of the Summit with the swing of a tennis racket, reflecting the sporty look of this week’s conference. 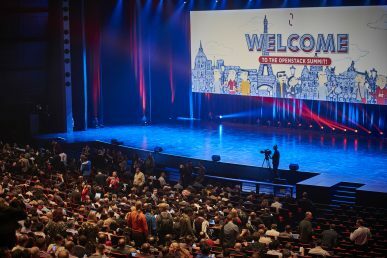 It wasn’t the first time the OpenStack community gathered here but the scale of the crowd is definitely different – there were just 600 people in 2012. 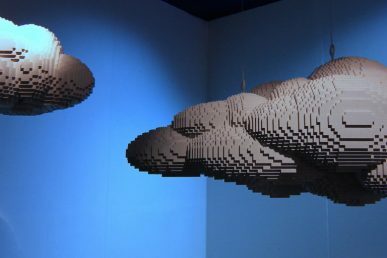 That scale also translates to 44 percent year-over-year growth of OpenStack deployments and 5 million cores in production, “a global footprint that’s pretty incredible,” he adds. 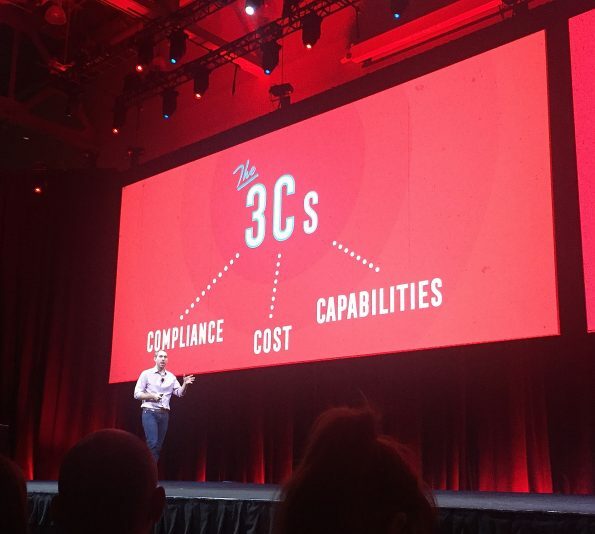 Bryce spoke of the 3Cs — cost, compliance and capabilities — that OpenStack users are acing. 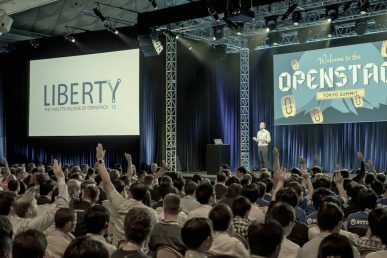 (You can catch all the keynotes on the OpenStack Foundation video channel.) He first introduced Verizon to talk about edge computing, with their cloud-in-a-box product — more on that here — and then brought onstage GE for compliance and the U.S. Army for the cost-cutting case. 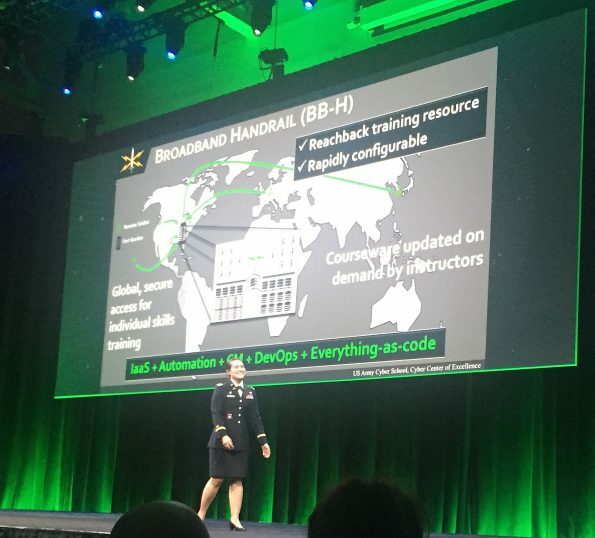 Major Julianna Rodriguez and Captain Christopher W. Apsey of the U.S. Army Cyber School brought forward a cost-cutting case for OpenStack. The USACYS trains and educates about 500 soldiers a year to defend the interests of the United States with computer science, electrical engineering, robotics and mathematics. Major Rodriguez speaking at the Summit. The problem, Rodriguez says, was that teaching the lightning-fast pace of computer science wasn’t meshing with the protocol for getting the all-clear for teaching materials. The legacy courseware meant they had to write requirements and request contract implementation then wait a staggering 12-18 months. “We want to be sure students don’t fall off the staircase of learning — and if you’re not using the skills they atrophy,” she notes. Now, working on the premise of everything-as-code for courseware and a GitHub flow, in 12-18 hours the materials are in front of students. Their set-up also changed dramatically: from three borrowed servers connected to users via CAT6 cables and 40 cores, 512G ram, 10TB storage and an LTE hotspot to today’s 2,000 cores, 36 TB ram 4PB storage 1 gbps DIA. Apsey put that core through its paces by demoing the AsciiDoc-based repository. He showed the crowd in Boston how it creates a student experience that’s always up-to-date, relevant and technically accurate while investing minimum man-hours for content curation. Daniela Rus, Massachusetts Institute of Technology, director, computer science & artificial intelligence lab (CSAIL), showcased her team’s work on modular and self-reconfiguring robots. (CSAIL runs on OpenStack and was a Superuser Award finalist.) Rus – who earns ultimate geek cred for sporting a dress with “Space Invaders” appliqués – describes how they’re building this robot compiler by printing flat structures and then folding them into robot bodies. The compiler has a data base, that data base has designs which can be composed and segmented. A six-legged robot, for example could be composed of two pairs of legs, two single legs and a segmented body. The user just has to specify what it should look like and the system figures out the components and materials. The output are design files that can be sent to a laser cutter or with paper and scissors and printed in about two minutes. Researchers soon realized, however, that rub was the folding process — it takes two hours for humans to construct the tiny 3D structures. So they automated the process by giving users ability to bake their own robots, “the secret sauce is a three-layer sandwich structure,” Rus says. The middle conforming layer is made of the same material as Shrinky Dinks. While it might seem like a cool party trick (and the videos Rus showed crawling up and down a human arm and floating on water were indeed uber cool) “it’s kind of an exciting robot,” she added, noting that it can be controlled by an external magnetic field that’s programmable. When its work is done, it can be sent to the recycling bin. She cited one very concrete application: body surgery. Some 3,500 people swallow batteries in the US every year, like the ones found in watches, which can make a hole in your stomach in 30 minutes. But you could swallow a pill-like “origami micro-surgeon” to deploy, find it and eliminate it in no time.